Ferrari Word Abu Dhabi – After well over a year of anticipation, Ferrari World Abu Dhabi opened it’s gates to anxious visitors. 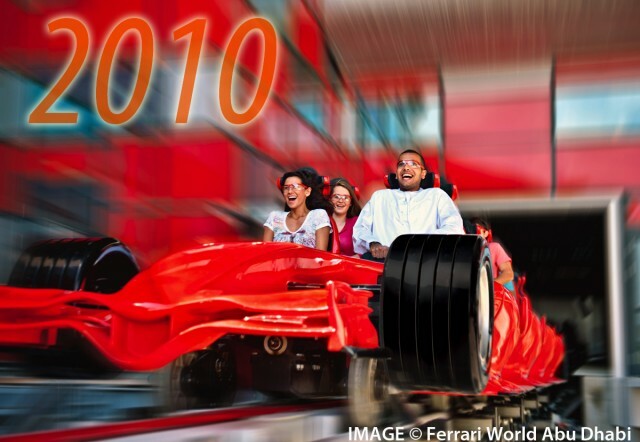 Themed to the iconic speed machines, Ferrari World was home to more than a dozen attractions including Formula Rossa, the fastest roller coaster on the planet clocking in just shy of 150 mph. The most impressive part about the park is that nearly all of it is contained under one giant roof. The park in general is rich with detailing. And while there may be some flaws, like the extremely dark and half-baked flume ride, other parts of the park, such as Fiorano GT Challenge have some the best train designs on the planet. Ferrari World made it’s debut in October of this year and has been well received ever since. Joris en de Draak at Efteling – I have always admired Efteling in Europe for it’s Disney and Universla quality attractions. This year, the park took a step into the fairy tale world with Joris en de Draak (George and the Dragon) a racing GCI wooden coaster. 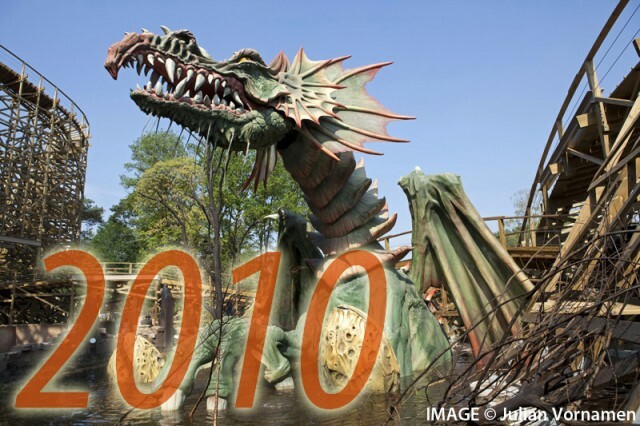 Although the ride was a little short, the coaster features fantastic theming including water effects, beautifully designed trains, and a giant fire spitting dragon. The coaster consists of two sides, Fire and Water. Each twists and winds in this double out and back style coaster. The coaster weaves over and around itself numerous times and passes a water canon as well as some funky bumps and strange turns before the race is over. Joris en de Draak may not be the most thrilling or elaborate coaster of 2010, but it is another solid addition to this already fantastic park. 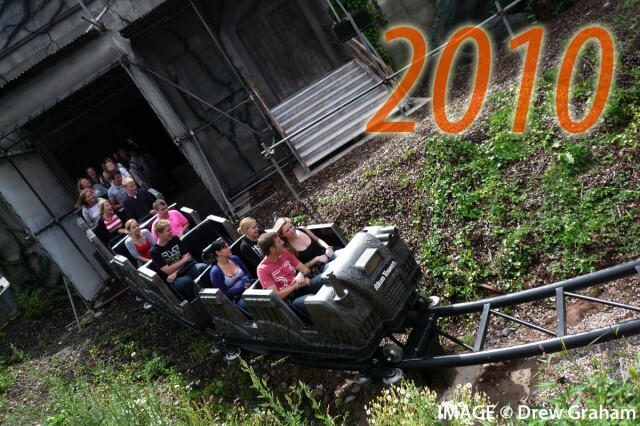 Th13teen at Alton Towers – Th13teen was easily one of the most hyped additions of 2010. Alton Towers, is widely known as the Cedar Point or Magic Mountain of Europe. The park announced SW6 about a year ago and have been teasing us ever since. In reality, Th13teen is a terrific family friendly attraction. No inversions, a gentle speed, and modest height, all indicate a coaster that could be a park’s star family coaster. Th13teen even features a unique, vertical drop element that drops the entire track, which is the first of it’s kind. However, Alton Towers marketed the coaster as an intense and terrifying experience, when Rita, across the midway, is far more terrifying than anything Th13teen had to offer. Th13teen was a let down to what it was advertised as but is still a good family attraction. So that wraps it up for our 2010 The Year in Review post. 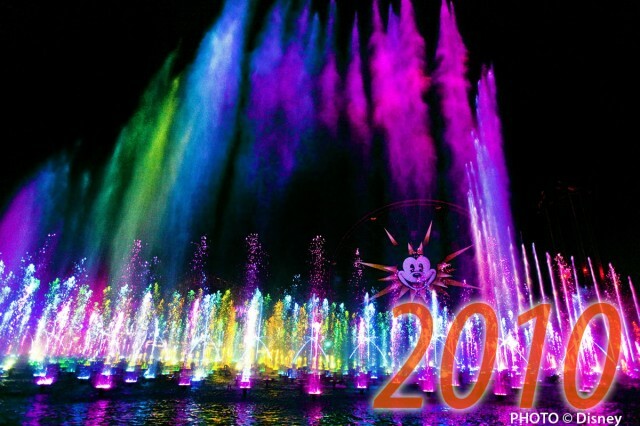 Some of the highlights of the past year were Disney’s World of Color, Ferrari World Abu Dhabi, Wildebeest at Holiday World. 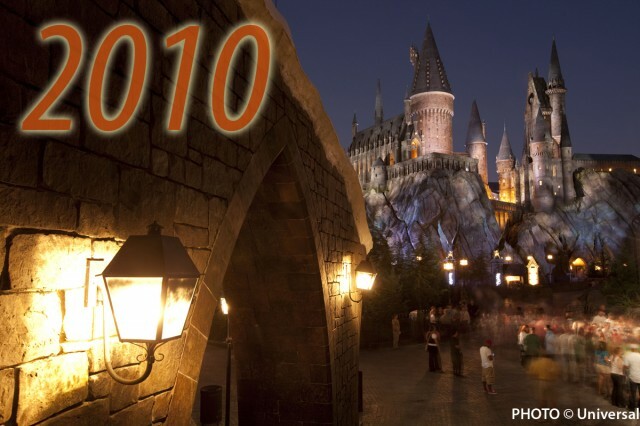 But the real star of 2010 was The Wizarding World of Harry Potter at Universal’s Islands of Adventure. 2011 is just a day away and already park’s are gearing up for the upcoming season. How will 2011 fair compared to 2010, only time will tell. Universal Studios Singapore – 2010 brought the addition of an entirely new Universal Studios park. Universal Studios in Hollywood, Japan, and Orlando are all quite similar. However after the opening of Singapore and the planned parks in Dubai and South Korea, it is clear that (unlike a certain Mouse company) Universal is striving to make each one of it’s theme parks unique and different. The park opened with seven distinct areas including areas themed to Dreamwork’s Madagascar, and Shrek. The real highlight of the park was dueling sit-down and inverted Vekoma coasters. Both were one of the first Vekoma coasters to feature 4 abreast seating. Unfortunately due to technical difficulties with the trains, Battlestar Galatica has closed down and has not reopen since. In addition the elaborate Madagascar flume ride failed to open during the park’s first season. Although the park is still working out the kinks, the park is new and what new park doesn’t have flaws? With Madagascar: the Crate Escape, Battlestar Galactica, and a new Transformers 3D dark ride opening in 2011, the park is sure to have a fantastic upcoming year. Sky Rocket at Kennywood – Kennywood is known for it’s classic Wooden coasters, it’s nostalgia, and its unique Arrow coaster, the Phantom’s Revenge. However, in 2010, the park took a step out of the past and into the 21st century with an LSM Premiere coaster dubbed Sky Rocket. Launching riders to 50 mph into a moment of holding just before the vertical drop, the coaster was an excellent addition to the park. Although it may be a new, first of it’s kind steel coaster, the design of the coaster was made not to overshadow the park’s signature coaster the Phantom’s Revenge. Sky Rocket could arguably have been the “sleeper hit” of 2010. The coaster serves it’s duty as a supporting coaster to this historic amusement park. Wildebeest at Holiday World – Holiday World continues to invest heavily back into it’s parks. With recent additions including the Voyage, and Pilgrim’s Plunge, the park continued to push the envelope in 2011 with Wildebeest. A ProSlide HydroMAGNETIC™ creation, Wildebeest is the longest water coaster on the planet. And recently Amusement Today named Wildebeest the number one water slide on the planet, topping the long standing Master Blaster. Without a doubt this is easily one of the greatest additions to the park. Holiday world continues to shatter records year after year leaving us wondering what the future holds for those folks in Santa Clause, Indiana. 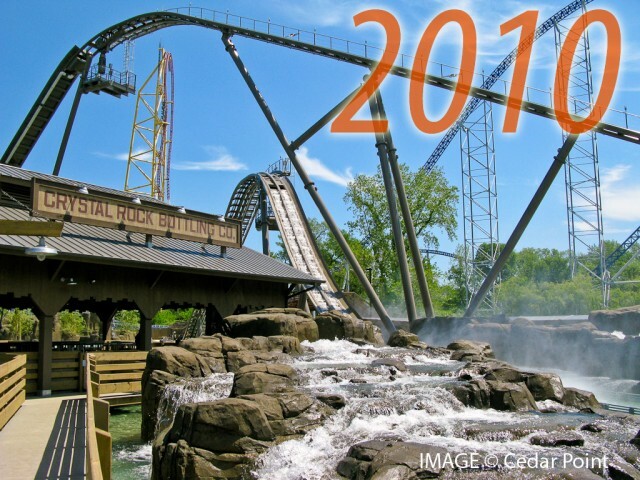 Shoot the Rapids at Cedar Point – Cedar Point, known world wide for it’s immense coaster collection decided to surprise fanboys by creating a water flume. Since Maverick replaced the park’s log flume back in 2007, it only seemed appropriate to return the flume style attraction to Cedar Point The park did this in 21st century style with Shoot the Rapids. Featuring 2 drops, the water flume was a welcomed addition in the hot summer months. Personally, I would have liked to see a bit more theming to the ride, but it’s Cedar Fair, what do you expect? Also, perhaps a double dip of sorts would have made the ride a bit more interesting. Saying all of that, the ride does get its job done. And that is to get guests soaked! That’s it for part 2! Check back tomorrow for the Part 3. 2010 was relatively modest in the amount of attractions that were introduced. However, many of the new additions for 2010 were game changers. The Wizarding World of Harry Potter at Universal’s Islands of Adventure brought an entirely new and innovative ride system and emerged as one of the most detailed environments in the world. Disney California Adventure debuted it’s highly anticipated nighttime spectacular World of Color. Universal proved that they were ready to make each park unique and one of a kind with their brand new theme park, Universal Studios Singapore. On the east coast, it was a roller coaster intimidation war. 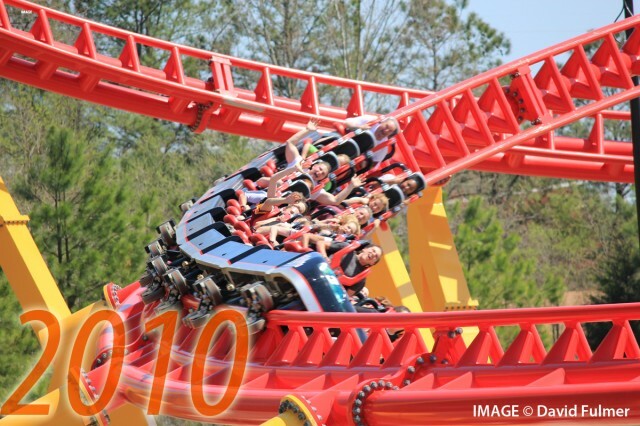 Carowinds’ Bolliger and Mabillard hyper coaster, Intimidator, proved a smashing success, while King’s Dominion’s Intimidator 305’s g-force filled coaster might have been too intense resulting in the coaster being significantly toned down throughout the season. Kennywood took a step into the future with their steel LSM launch coaster, Sky Rocket. 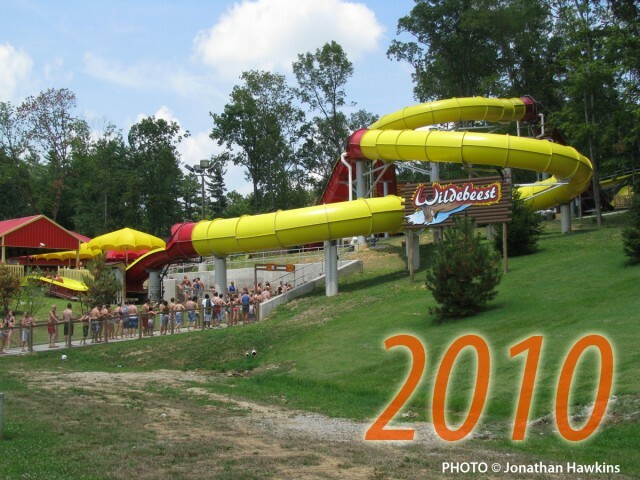 And Holiday World continued to break records with the world’s longest (and best) water coaster, Wildebeest. 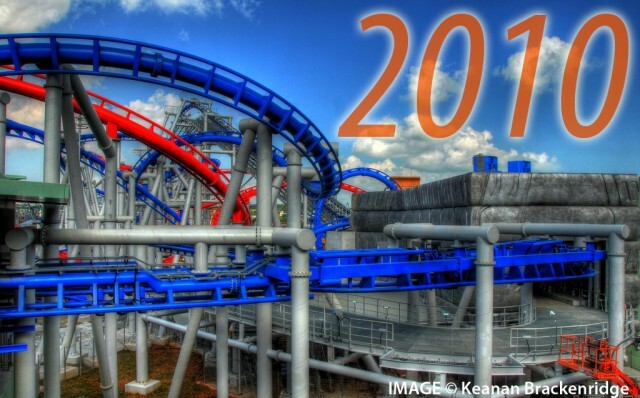 Let’s take a look back at this past year and what it has brought to the theme park world. World of Color at Disney California Adventure – When the park opened in 2001, guests would flee the park come nightfall to Disneyland to experience the various elaborate nighttime offerings next door. Disney’s Electrical Parade revived from the grave to come and save the park’s nightlife. However, 2010 finally brought a unique one of a kind nighttime spectacular. World of Color is a massive fountain, laser, and fire spectacular that is on a scale beyond anything else attempted before. Featuring approximately 1,200 fountains, 75 flame throwers, a platform larger than a football field, projectors, lasers, and lights, World of Color has greatly impacted the park increasing attendance by 20%. The $75 million investment has been satisfying guests ever since it’s world premiere on June 11th. After seeing the show myself, the scope and size of the show is unbelievable and is a must see for any park guest. To see Park Thought’s full video of World of Color click here for Part 1 and here for Part 2. The Wizarding World of Harry Potter at Universal’s Islands of Adventure – After a highly successful movie franchise, it was natural that one day Universal Studios would create a Harry Potter attraction. Not one to disappoint, Universal announced Islands of Adventure would receive an entire land themed around the boy wizard. June 18th brought the magical opening the Wizarding World of Harry Potter. The star attraction of this ‘land’ is Harry Potter and the Forbidden Journey. Using a first of it’s kind ride system the ride has been dubbed as one of the best dark rides since Indiana Jones Adventure. Also, the park put a Harry Potter twist on Dueling Dragons which became Dragon Challenge, as well as Flight of the Unicorn which became Flight of the Hipogriff. Perhaps the best part of this new land is the detailing of Hogsmeade that truly immerses guests in the world of Harry Potter. Although I have not been to the the Wizarding World of Harry Potter yet, I plan on attending the park next year and look forward to seeing this awesome new experience! 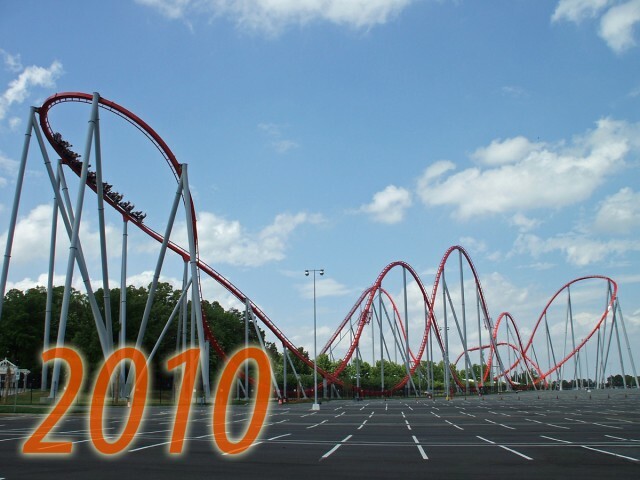 Intimidator at Carowinds – Cedar Fair gave us two new intimidating attractions in 2010. In the Carolinas, Intimidator is a massive airtime filled Hyper coaster. Themed to the NASCAR legend, Dale Earnhardt, Intimidator boasts seven airtime hills symbolic of Earnhardt’s seven championships. Just like a champion ship race, each hill brings an adrenaline rush. Intimidator was the only new Bolliger and Mabillard coaster to open up in 2010 on the planet. 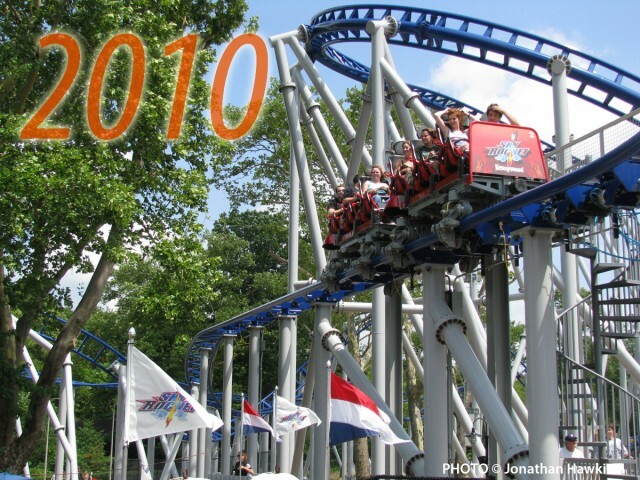 Although the coaster may not have been as fast or tall as it’s Virginian cousin, the Carowind’s version did not need any modifications during the season. Intimidator 305 at King’s Dominion – In Virginia, King’s Dominion introduced it’s own tribute to Dale Earnhardt with Intimidator 305′. Created by Swiss manufacturer, Intamin AG, Intimidator 305′ was designed to be a high octane, force filled coaster. The 305 in the name identifies the height of the ride (305 feet) which leads into several twists and bends. The coaster was described by many early riders to be one of the most intense coaster experiences on the planet. While to some this is great, the park felt that the ride may have been too extreme and resulted in the coaster being severely trimmed later in the year. Currently, the park has removed the turn at the bottom of the drop to create a new wider drop that will be less forceful for guests. That concludes this portion of the 2010 The Year in Review. Check back tomorrow for Part 2.